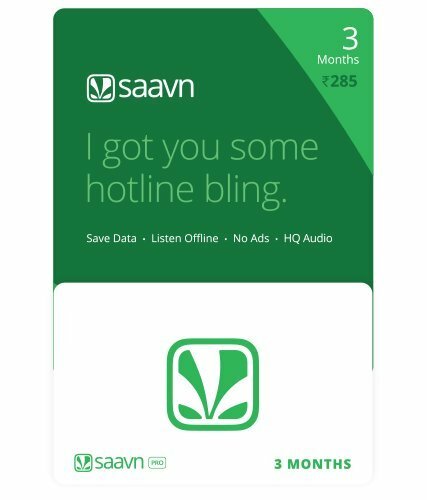 Saavn Pro is a premium music streaming service that allows you to download and play high-quality music offline, without any ads or interruptions.Saavn Pro Gift Card is redeemable on your App and www.saavn.com/redeem only once. Cards are redeemable for users who are not current subscribers on Google Play or iTunes or PayTM wallet. All other terms and conditions apply. Saavn cards bought on Amazon.in cannot be returned or refunded.